Planning to live in Canada? Great news for you sun lovers. Canada's summer might be the warmest yet. A recent statement by Environment Canada's senior climatologist David Phillips, said "the country is in for its warmest summer. Canada is well-known for its colder climes but according to a recent statement by Environment Canada's senior climatologist David Phillips, the country is in for its warmest summer season yet. Summer in Canada commences at the beginning of July and it was reported that temperatures are expected to soar well above average in some of the bigger cities in the country. Though his readings prove to be positive for most parts of Canada, he noted that certain regions in Canada could experience cooler than normal temperatures. Some of these areas include Baffin Island and Hudson Bay. He also added that this does not necessarily negate the possibility of some rain and colder days either. "We always have that mixed bag (of weather) in Canada… The weather attacks us from every direction." For the most part however, Canadians should look forward to a soaring summer solstice. It is precisely in this season that there are festivals held all over the country to commemorate the season and get rid of the winter blues. With warmer temperatures in the Maritimes and Vancouver, tourists will be flooding to these areas to catch a taste of what Canadian Summers are like. 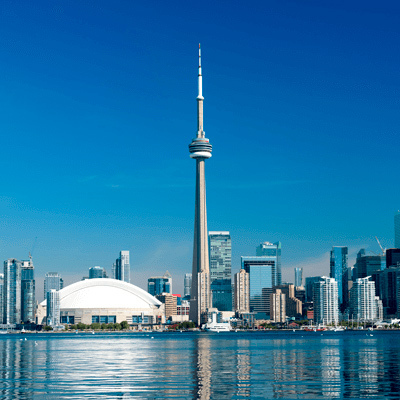 Other areas which are expected to flourish are Toronto, Ottawa and Montreal. This time of year is especially popular for Canada’s tourism and hospitality industries as they will be experiencing a large influx of tourists and will in turn need to accommodate them. Jobs in these areas are usually high in demand and often offered to international skilled workers capable of handling these responsibilities.